Could Adam Sandler finally return to his former greatness in his latest attempt to win back some credibility? The short is answer is no. When you see this movie in your local DVD shop in the new releases or come across it whilst flicking through Netflix, it is probably not worth your time. This movie is so unbelievably depressing. 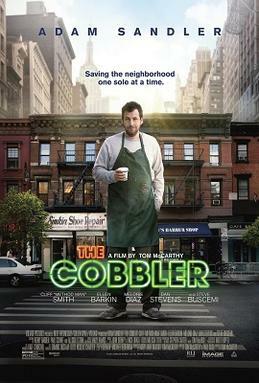 Adam Sandler plays fourth generation shoemaker Max Simkin who seems to be constantly down on his luck and has to take care of his elderly mother. He then discovers that his stitching machine is no ordinary one. Simkin now possesses the power to become the person who owns the shoes that he has worked on using this magical machine. We get a short tid bit showing this machine being used many a year ago but after that there is really no explanation to why this happens. This idea could be very good if used correctly. This power that Sandlers character has acquired could be used for so much good and also in a very fun way. The Cobbler does not do this. Two times in this film, the power is used for something good. Instead he uses it to transform into a black gentleman so that he can steal someone's shoes for his own selfish gain to use his car. Another example of this is so he can take advantage of a woman who is not aware of what is going on. And we're to like this guy? Really? Sandlers character doesn't really have a sense of any of the wrong doing he does. On numerous occasions he says he has to stop messing around masquerading as other people but then continues to do stuff in other peoples lives. Also there is a scene where Sandler does something which would be very traumatising to most people and for a small amount of time, it effects his character. However within two minutes he is completely fine with it and is not put off with anything that he is doing. It's just plain stupidity. There are also moments that could be very heartfelt. Max goes to see his mother and asks if given the opportunity, would she change to be anyone else. A nice bit is said as she says no due to being his mother. So what does Max do? He continues pretending to be different people. He finally does something to please someone else as he pretends to be his father whom has abandoned both Max and his mother. Now this seems good in theory but they seem to have no queries at all about him not being there for them. Also in every scene when Max is in the shoes of someone else, the people he encounters also find the person to be acting differently but in this scene it just seems to be as if it is the actual character. Tragedy then strikes after this scene so any moments of feel good are gone as this film gets even more depressing which I didn't even think was possible! The jokes in this fall so flat as well and it's just painful. He then uses cheap ways such as picking on weight or a cross dresser for laughs. There is a lot of talent in this movie and it should do a lot better. Yes Sandler is now known recently for his stinkers but surely there is something left. I at least hope so. 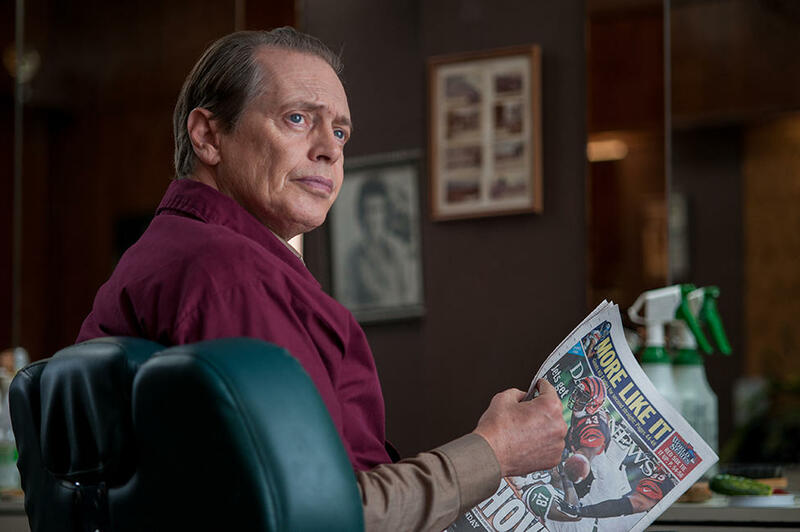 Steve Buscemi is also in this and could of been used a lot better. We've seen this pair work well together before but it just wasn't here at all. Dustin Hoffman was alright in this film but he did have a very small role but I guess that's one of the only silver linings for this film. Not even Steve Buscemi could make this film much better. I really did not enjoy this film. It's so disappointing looking back at Sandlers past films and seeing what he is doing now. When he was good, he was fantastic. Now I struggle to find any enjoyment in his movies. If you've seen the film and had fun with it, great I'm glad but I can't say the same for me or recommend it at all. A very depressing film with not much humour at all. Not worth checking out. If you have seen this film, tell me what you thought about it and once again thank you for reading.